Black Star Sequin Swing Dress is rated 4.7 out of 5 by 9. 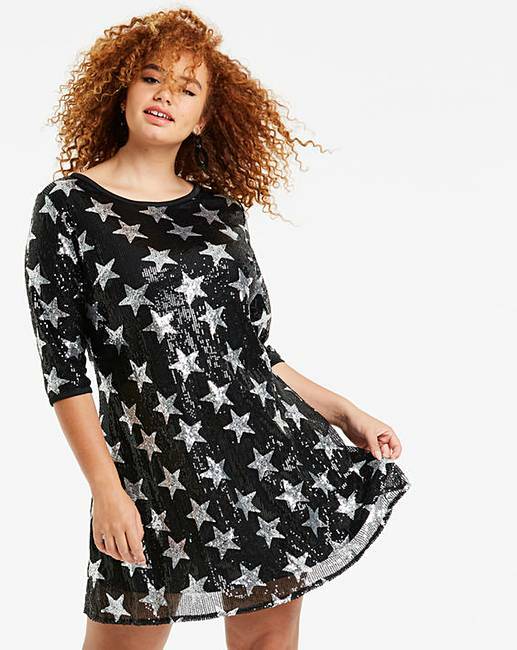 Own the night in this Star Sequin Dress. 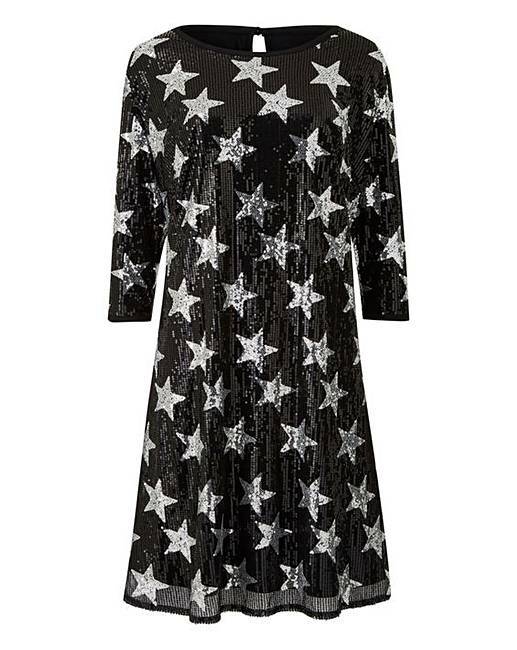 The mesh dress features an all-over eyecatching sequin star design, a key trend feature for the winter season. Get ready to stand out in this flattering dress, perfect for any going out occasion this Christmas. Style with a cute metallic clutch and strappy heels to complete the look. Rated 5 out of 5 by DEBS from Brilliant Love this dress. The picture doesn't do it justice. Great dress (I wear with leggings/black jeans) - Really flattering and great sizing. The quality and finish are such that for a sequin dress it is a bargain. Rated 4 out of 5 by Nichster from Sparkly Vibes Lovely dress. Sits well on and feels true to size. Only issue is that it casts a lot of small boys but of fabric from it. Rated 5 out of 5 by Marie from Great for the Christmas season Brought this when it was a lower price and it’s not normally what I’d wear but it fits lovely doesn’t make my backside look like a bus and it’s a great party dress! Also the sleeve length is perfect if like me you like to hide upper arms! Rated 3 out of 5 by Naomi from Wounded This dress is stunning and very flattering however, the morning after I had worn it to a Christmas party I noticed that the sequins had absolutely shredded my arms. Rated 5 out of 5 by Maggie71 from Gorgeous dress Bought this dress for my Xmas party wanted something with a bit of sparkle and that was comfortable as well this dress ticks all the boxes .